August has arrived and that means my Whole30 has officially begun. And so far? It’s the easiest Whole30 to date. Granted it’s been just 4 days, but turning down pizza, beer, wine, gourmet marshmallows and several other treats hasn’t been all that hard. I think at this point I eat healthy enough most of the time that it’s not a huge deal. I do still have things like pizza and cocktails but I don’t need them the way I used to. I also think that Whole30s today are much easier than when I did my first Whole30 because there are so many more complaint Whole30 options available at the grocery store. Like, New Barn Organic Unsweetened Almondmilk. 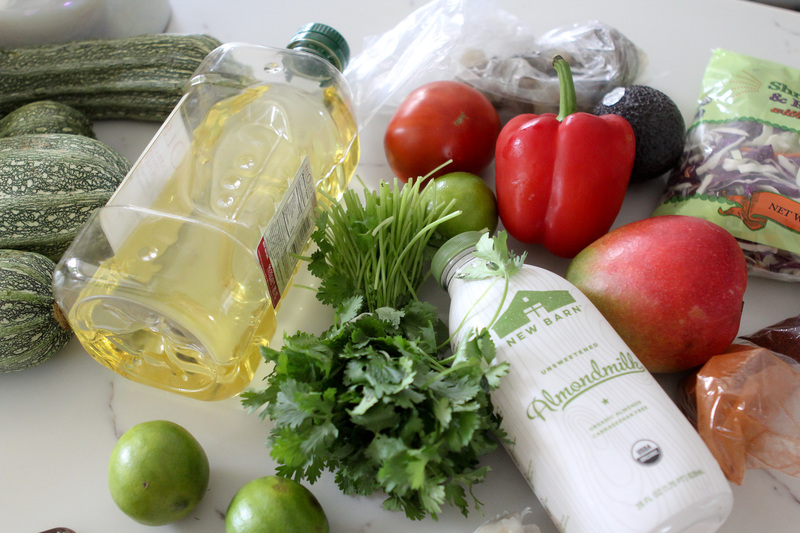 Yes, you can perhaps make your almond milk at home but quite frankly who has time for that? Especially when I’m on a Whole30 and prepping everything else in sight. Something I’m passionate about is consumer package foods that make our life easier while upholding high nutritional standards. And New Barn obviously falls into that category. Lucky for us, New Barn’s Unsweetened variety is Whole30 compliant and I use it ALL.THE.TIME. Even when I’m not on a Whole30, but especially when I’m on a Whole30. 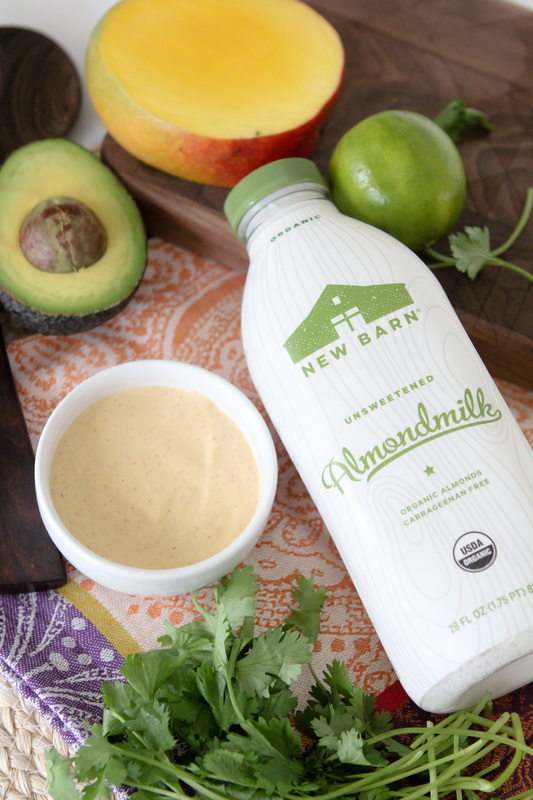 New Barn’s Almondmilk is the quintessential real deal almond milk and the taste and texture come from actual almonds, not loads of additives and gums. With 3 times the amount of almonds than traditional almond milks, you can see why. Not only are their milks organic, Whole30 compliant but they’re Non-GMO, Kosher and Vegan. Talk about the great unifier! 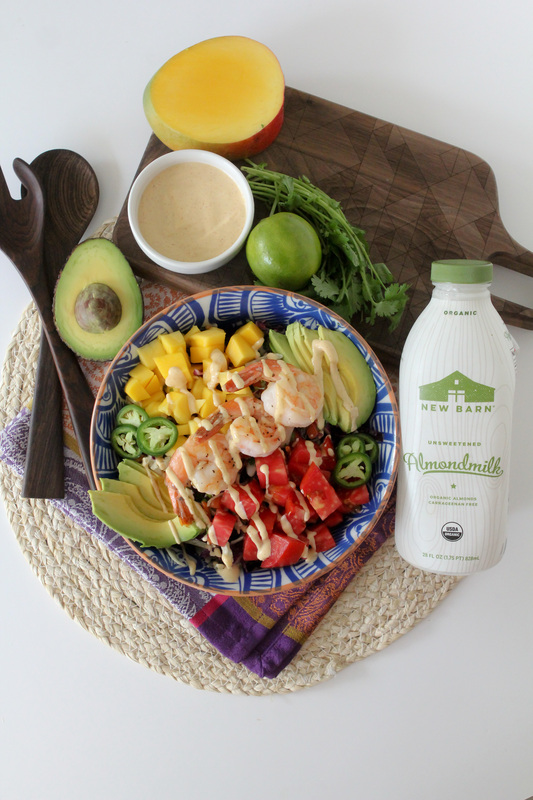 Some of the ways that I regularly use my New Barn Organic Almondmilk on a Whole30 include in coupons, like in my Loaded Broccoli & Chicken Soup, my Whole30 Compliant Latte, dressings, dips and sauces. 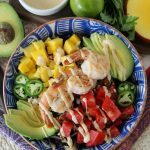 This month I wanted to create a dish that would be perfect for summer, and this shrimp salad is all that. I’m obsessing about the flavors, there’s mango, avocado, jalapeño, chipotle, cilantro and so much more. And its incredibly easy to meal prep. 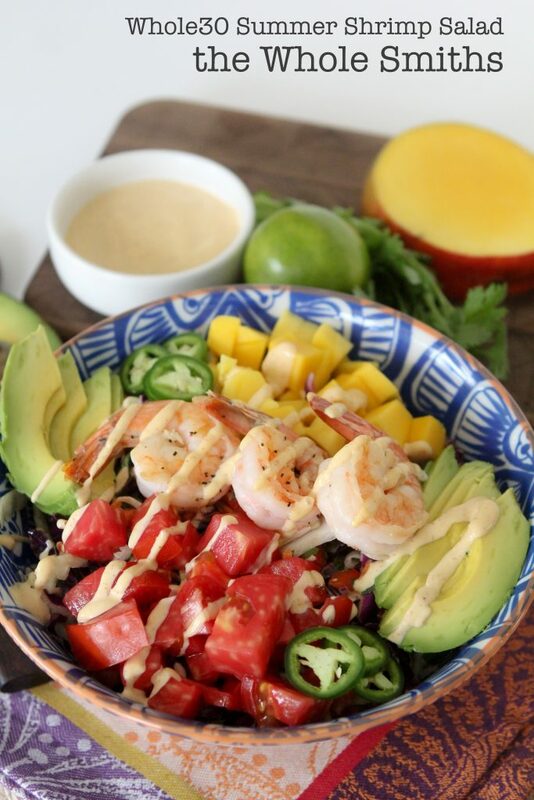 You can make the dressings ahead of time, cook the shrimp and chop the veggies for a salad that’s easy to assemble for weekday lunches. 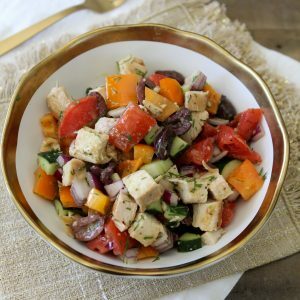 It’s easy to get bored on a Whole30 when all you’re eating is roasted sweet potatoes and tuna salad. Make sure to mix things up. Combine flavors you might not normally and buy proteins that you may not normally purchase. 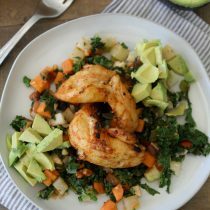 Things like this salad, particularly at the mid-way point, will keep you excited about your Whole30 and interested in food. Trust me, variety is key! You can find New Barn products at your local Whole Foods. Make sure to grab a bottle (or three) for your next Whole30! 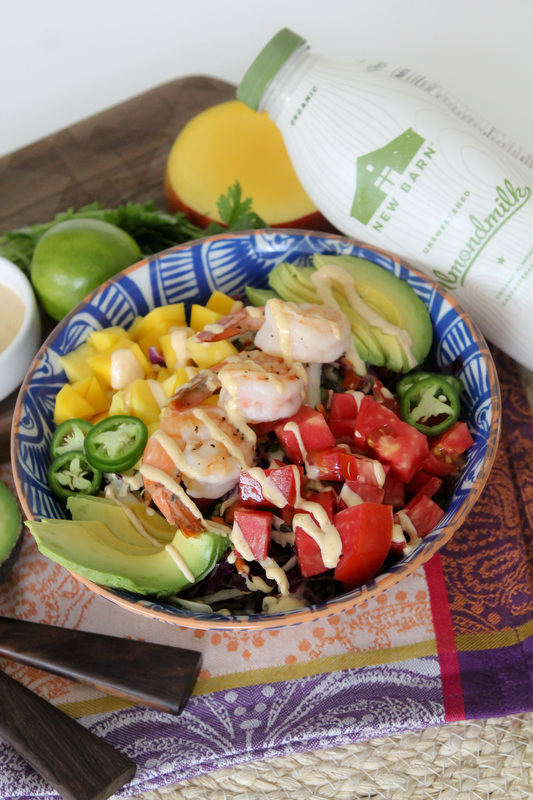 This easy-to-make Summer Shrimp Salad from the Whole Smiths is PERFECT for your Whole30. 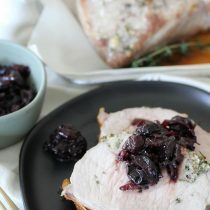 So easy to prep ahead of time, delicious and filling! Combine the mayo, Organic New Barn Unsweetened Almondmilk, lime juice, chipotle powder, salt and garlic together in a small bowl or mason jar for easy storage. Set aside. Heat a medium sized frying pan over medium heat and add the ghee or olive oil to the pan. While the pan heats sprinkle the salt and pepper over the shrimp and toss to coat. Once the oil is hot, add the shrimp and cook each side 2-3 minutes until cooked through. 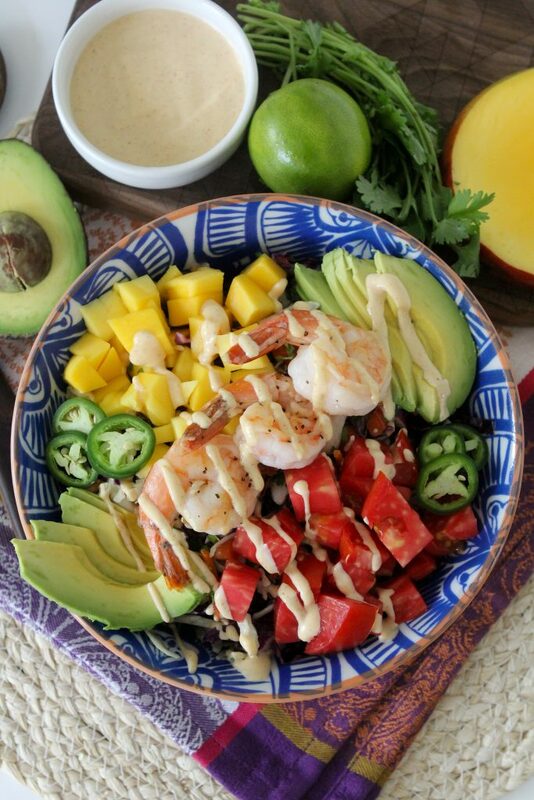 In a large bowl add the slaw mix, cilantro, bell pepper, tomato, mango and jalapeño. Poor the lime vinaigrette over top of the produce and toss to combine well. To serve, plate the salad and top with the shrimp and drizzle the chipotle dressing over top.